Personality Disorder: What is it, Symptoms, and Treatments. Every person has a unique personality that is formed from genetics and life experiences. Personality dictates how we interact with people and how we act in different situations and environments. Personality is an integral component of our identity. A personality disorder occurs when a person exhibits a distressing pattern of mood and behaviour that have a negative impact on themselves and other people in their life. The abnormal thoughts and behaviours inherent in a personality disorder can keep an individual from functioning fully in their lives. Enduring pattern of inner experience and behaviour that deviates markedly from the expectations of the individual’s culture, is pervasive and inflexible, has an onset in adolescence or early adulthood, is stable over time, and leads to distress or impairment. There are three categories of personality disorders. Cluster A personality disorders include paranoid, schizoid, and schizotypal; people with these types of personality disorders are typically perceived as odd or eccentric. Cluster B personality disorders include antisocial, borderline, histrionic, and narcissistic; with a common characteristic of being dramatic, emotional, and erratic in nature. Cluster C personality disorder includes dependent, avoidant, and obsessive-compulsive; people with cluster C personality disorders are typically perceived as anxious or fearful. Symptoms of these different personality disorders are varied, and a person may exhibit signs of more than one personality disorder. If you are struggling with the challenges associated with a personality disorder, a mental health professional may be able to help. 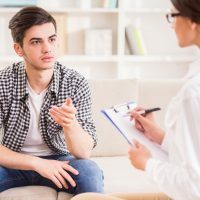 Dalton Associates can connect with you with a mental health professional that is a personal fit for you, and has the experience in supporting your unique challenges. Please contact us for more information. Canadian Mental Health Association. (2004). Personality disorders.